With deep roots in the district, Brian Jones is eager to continue the tradition of bringing conservative leadership for the 38th Senate District. Since he was first elected to office in 2002, Brian has consistently worked for common-sense policies to reduce the size of government, protect our constitutional rights, and bring reform to Sacramento. 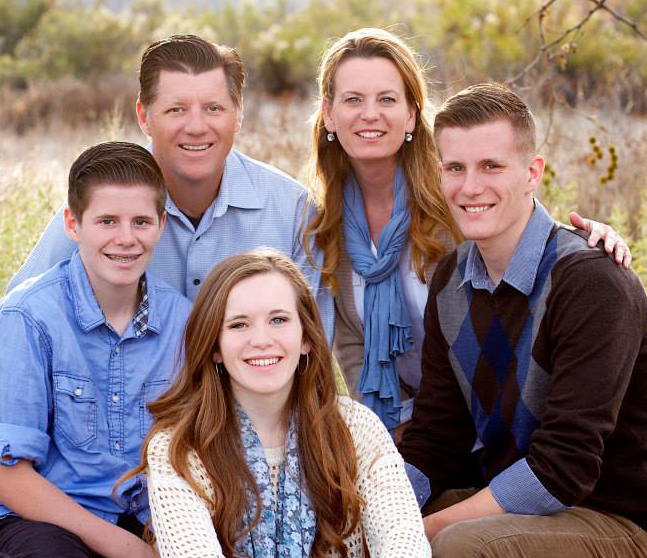 As an elected Santee Councilmember, Brian put conservative ideas into practice. He and his colleagues cut red tape, outsourced city services, maintained low taxes, and built multi-million dollar budget reserves. As a result, Santee enjoyed the best business climate, most efficient government, and lowest pension obligations in the region. The city also now boasts low crime, fantastic parks & recreation services, thriving businesses, and a family-friendly atmosphere. Frustrated by Sacramento’s red tape, bureaucracy, and endless meddling in local issues, Brian decided to run for State Assembly. He was elected in November 2010. Once he was sworn in, Brian brought his conservative vision to Sacramento, where he served as a critical voice for reforming state government, lowering taxes, reducing the influence of labor unions, and improving California’s business climate. During his six years in the State Assembly, Brian received lifetime “A” ratings from the American Conservative Union, the National Federation of Independent Business, Howard Jarvis Taxpayers Association and the California Taxpayers Association. In addition, Brian was named as Outstanding Legislator for 2016 by the California Rifle & Pistol Association for his support of the 2nd Amendment. Brian has been a resident of the 38th Senate District since 1978; he attended Santee Elementary, Cajon Park Jr. High, and Santana High School. After graduating, Brian attended San Diego State University where he earned a Bachelor of Science Degree in Business Administration. He and his wife Heather both grew up in Santee, chose to begin their family there and have lived in the same community ever since. In his spare time, Brian enjoys mountain biking, off-roading, swimming and spending time with Heather and his three children.